Merkel: "The benefits and costs must be proportionate. Hardware refits are relatively cost-intensive." 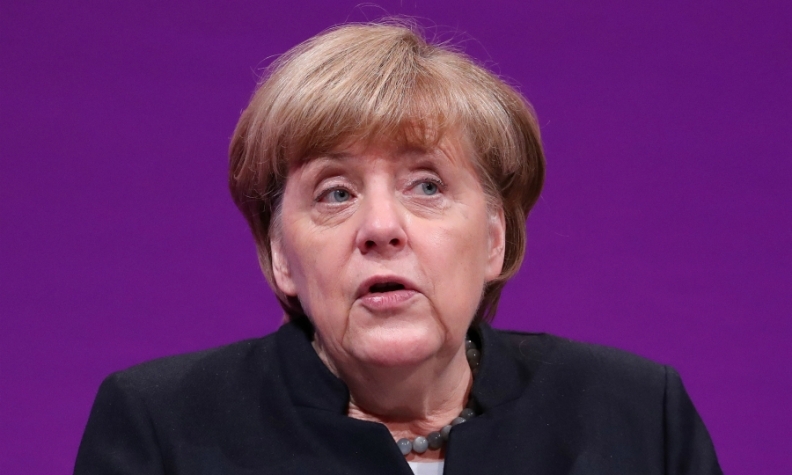 BERLIN -- German Chancellor Angela Merkel played down the possibility of forcing automakers to make expensive modifications to diesel car exhaust systems, as her new government tries to avoid driving bans in cities with air quality problems. The German car industry, which accounts for some 800,000 jobs in Europe's biggest economy, is struggling with a global backlash against diesel cars after VW admitted in 2015 that it had cheated U.S. exhaust tests. Tackling the problem of diesel cars with high nitrogen oxide (NOx) emissions - known to cause respiratory disease - is one of the most pressing policies facing Merkel's new coalition between her conservatives and the Social Democrats (SPD). Merkel made clear on Wednesday that she had reservations about automakers being made to introduce hardware modifications, such as changing filters in exhaust systems. "The benefits and costs must be proportionate. Hardware refits are relatively cost-intensive," said Merkel. She reiterated she would do everything possible to avoid bans and that she believed in 2-3 years only about 10 cities would have excess levels of NOx, compared with about 70 cities originally. The issue came to a head in February when a court allowed local authorities to ban some diesel vehicles. Experts say bans could cut the resale value of up to 15 million diesel vehicles in Europe's biggest car market. Merkel's government has been criticized for having cozy ties with the auto industry due to its importance for jobs and exports. France and Britain have said they will ban new gasoline and diesel cars by 2040. Sales of new diesel-powered cars in Germany plunged by a quarter in March, according to the KBA automotive watchdog. So far, Germany has committed to software upgrades for some 5.3 million diesel cars by the end of the year to reduce emissions by up to 30 percent. With demand for electric cars growing only slowly, Transport Minister Andreas Scheuer has released the first 20 million euros of 175 million euros ($217 million) in subsidies to fund the purchase of EV for public infrastructure agencies. However, critics say all this is too little. Juergen Resch, head of the DUH environmental group, criticized Merkel and her cabinet for being "remotely controlled" by the auto industry. Merkel, and Vice Chancellor and Finance Minister Olaf Scholz, a Social Democrat, stressed the auto industry was of crucial importance to Germany. "We want it to be modern and future oriented," said Merkel. "We also have clear exceptions of the car industry that has clearly made serious mistakes. The customer or taxpayer cannot be made accountable for that. It must be mainly dealt with by the auto industry," she said. She added there were no plans for a summit with carmakers and that the new government was not keen on pursuing "blue badges" to indicate how clean a car is, seen by critics as a form of driving restriction. "Our focus will rather be on individual measures that spare citizens," she said. The fallout of the diesel scandal, which has also hit Daimler and BMW, is still evident with VW poised for a management shakeup which will include the departure of CEO Matthias Mueller, say sources.